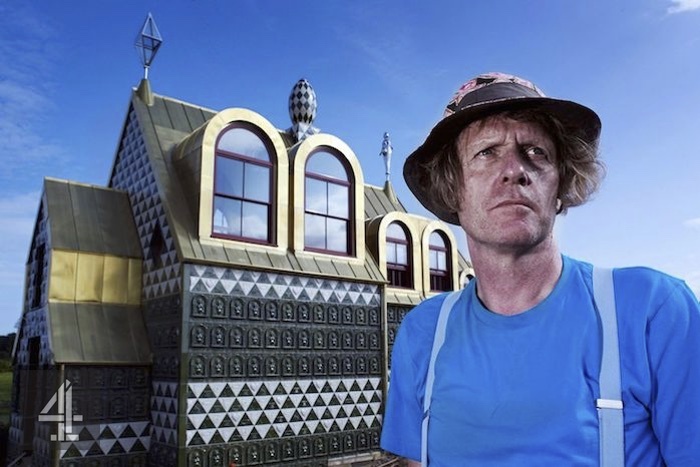 Grayson Perry’s Dream House tracks the creation of Grayson Perry’s biggest, riskiest and most ambitious work of art yet: an extraordinary secular chapel near Harwich, dedicated to the memory of a mythical Essex everywoman called ‘Julie’. Grayson was born and brought up in the county and this intricate, provocative building is his tribute to Essex Woman in all her glory and his challenge to the reductive myth of the ‘Essex Girl’. The design for the house is a visual one-off, handcrafted down to the finest detail in a rich, dense and extravagant style that gives two fingers to the puritanical modernist architectural establishment. There are 400 relief tiles depicting Julie, four roof sculptures, and a series of tapestries celebrating her life. As Grayson designs it, we’ll see him seeking inspiration from single mums in Dagenham, hairdressers in Colchester and the landscape and history of Essex. But we’ll also see him struggling to bring the enormous project in on time and on budget, and having to deal with a mixture of marvel and bafflement from local residents. The climax will be a pilgrimage to the site led by Grayson himself.